One of my favourite parts about being a university student is taking part in clubs on campus. Back at U of T, I participate in the UTJA (University of Toronto Japan Association), and PCJS (Peace, Conflict, and Justice Society). While planning my exchange last year, I worried how being abroad would affect my ability to stay involved in these organizations. While I wanted to continue my executive roles from abroad, I also feared over-committing myself and being unable to fulfill my responsibilities while away from campus. My positions in UTJA and PCJS focused on graphic design and social media. I’m passionate about designing creative materials on Photoshop and Illustrator, and promoting events. Both these roles can be completed online. Thus, in anticipation of my year abroad, I asked the incoming presidents of both groups last spring if it would be possible for me to continue being an executive over the course of my year away in Tokyo. Both agreed, and I continued to work for the clubs over the summer. However, once the school year began in September, the executive teams of both groups realized that they needed all their executive team members to be physically present to volunteer at events. Thus, we decided it was for the best that I leave my positions, and return the following year. This was an important lesson both to me and the leaders of my clubs. Neither of us anticipated the strain it would put on the team to have a member away, seeing as the majority of my responsibilities could be fulfilled online. In retrospect, while I miss being involved in these groups, I’m thankful because it has given me more time to focus on participating in extracurricular activities at UTokyo. Myself and a friend sharing what life is like back at home to UTokyo students! 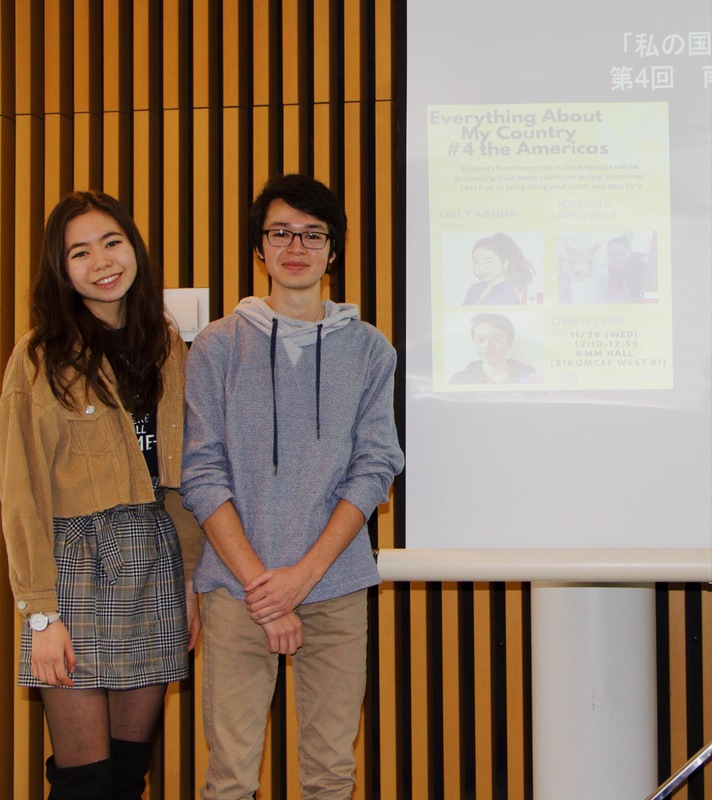 This week, I was part of a presentation on the the Americas for UTokyo students interested in studying abroad. It featured myself representing Canada, a student from the U.S., and a student from Chili. We gave local Japanese students a run-down on what life is like in our respective countries. 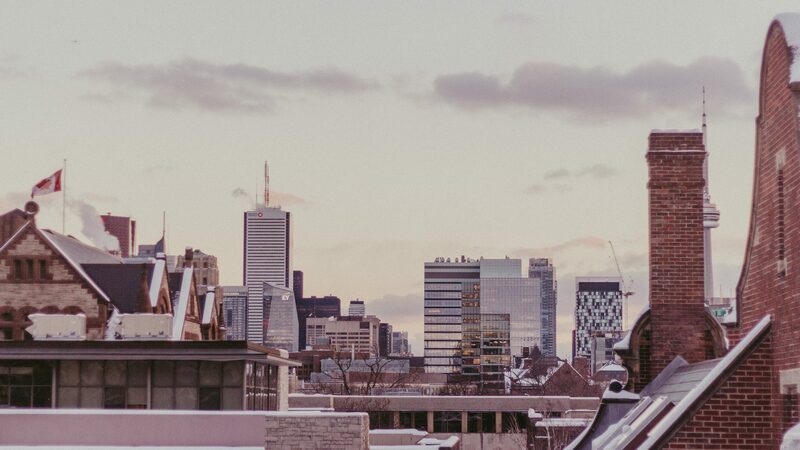 In my presentation, I talked about my hometown in Ontario, the city of Toronto, and what it’s like to be a student at U of T. Later on, we answered any questions that students had. I told them not to worry, Toronto isn’t snowy the entire year! I hope that next year at U of T, I see a few familiar faces from UTokyo! 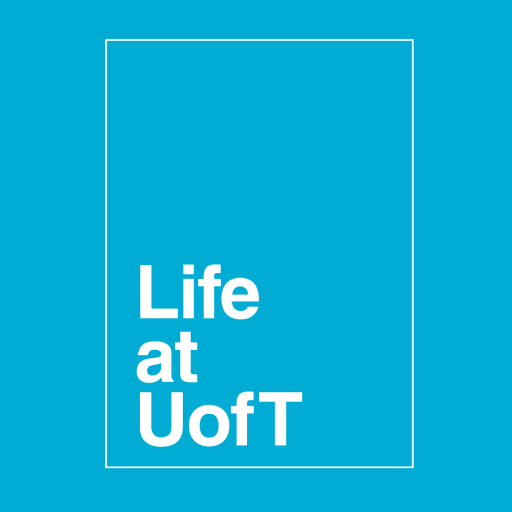 If you are planning on studying abroad, I know firsthand that departing with clubs at U of T is bittersweet. Sometimes, it’s impossible to get the best of both worlds. While I couldn’t stay involved in my U of T commitments from far away, I’m glad that I at least gave it a go. Instead of being stuck in a difficult LDR (long distance relationship) with my clubs on campus, I’ve gotten the chance to participate fully in UTokyo activities! It was a tough break-up, but I know we’ll be reunited soon enough!